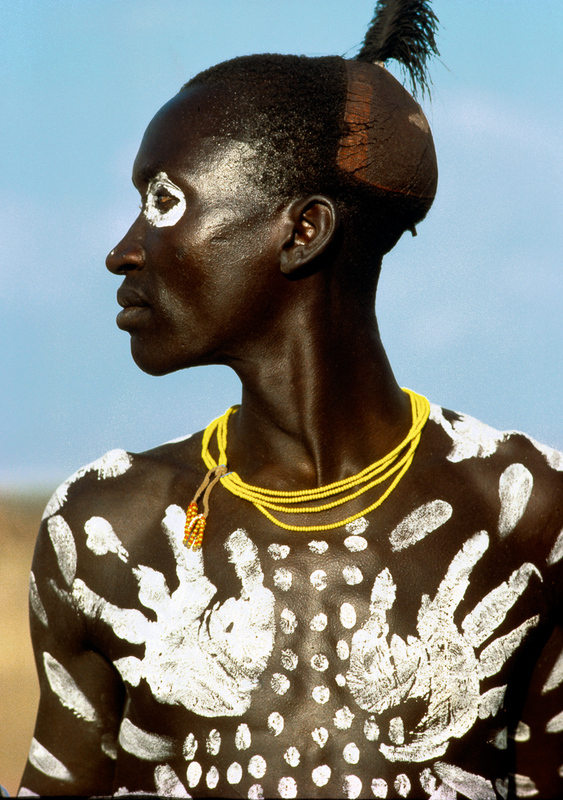 With little in the way of material culture, the Karo people use body painting as their prime means of visual artistic expression. Karo body art uniquely reflects the personality of its wearer, and it is rare to find any two people decorated in exactly the same way. This man is particularly proud of his distinctive handprint motif, featured on both the front and the back of his body.